Because of the steep hill side at the former Unocal fuel terminal, the site is described in two parts: the upper yard and the lower yard. The first step in the cleanup of the upper yard was the dramatic removal of the fuel storage tanks. 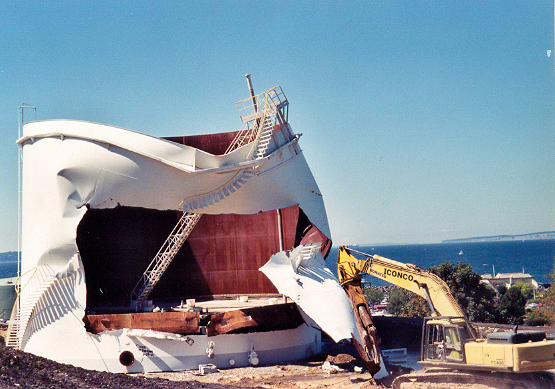 In the summer of 2001, the tanks were cut into pieces by a large shearing machine; the cut sections were then rolled up, loaded into trucks, and recycled. 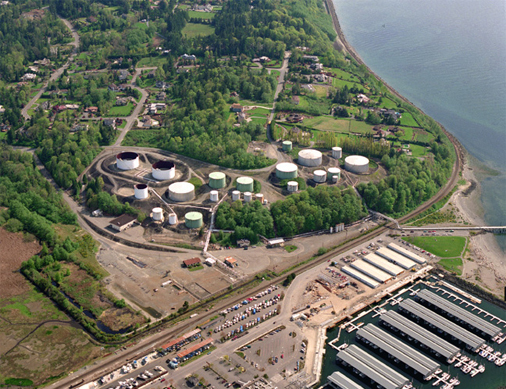 In October 2003, the Washington State Department of Ecology certified that Unocal's cleanup of the Upper Yard was complete. This hilltop location is now the site of a luxury condominium community overlooking Puget Sound. An interim cleanup of the lower yard was completed in 2008. Since that time, Chevron is continuing to work with the Washington State Department of Ecology to monitor site conditions and to determine final clean-up actions. Unocal entered into a cleanup agreement ("agreed order") with the Washington State Department of Ecology in 1993. Chevron has been working with the Department of Ecology and the City of Edmonds to ensure full participation of the public in the cleanup process. "...our company's foundation is built on our values...[we] protect the environment and benefit the communities where we work."